Since I started the new WeightWatchers plan, I've realised that I can eat healthy portions of protein-rich foods such as chicken because they are so low in Smartpoints! This means that I can add some of my favourite ingredients, such as prosciutto to give amazing flavours and texture to my dishes. 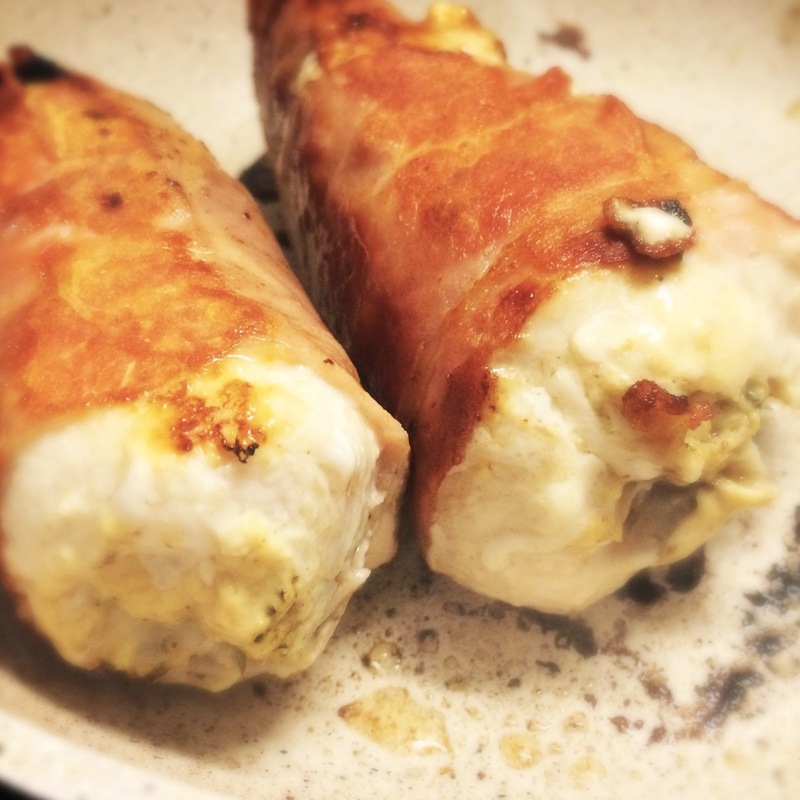 You'll see when you make this that it's a large portion, so you'll feel full up for quite a while after eating this dish-always good for snackers like me. 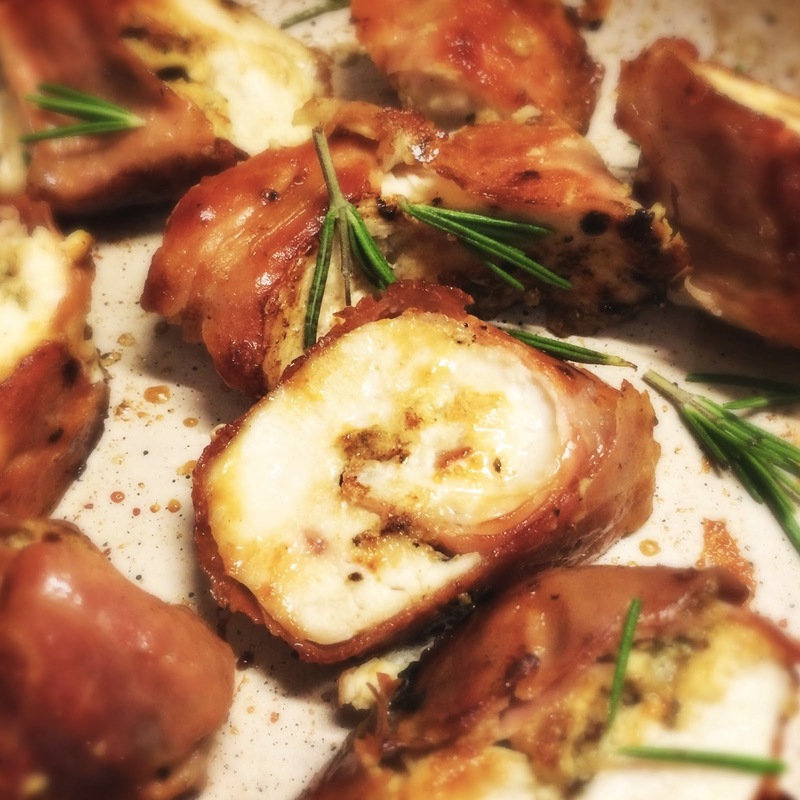 The chicken breasts are flattened so they are lovely and thin, then laid on top of strips of prosciutto before being smothered in mild mustard and seasoning, rolled up and fried in a little oil and fresh rosemary. 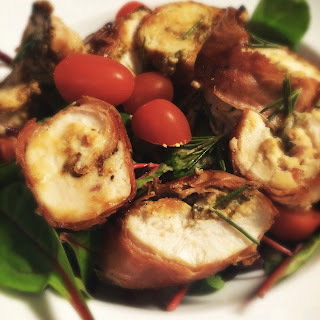 This means that the outside coating is light and crisp leaving the chicken inside succulent, delicious and bursting with robust flavours. I served mine with a salad but it would be equally delicious with some steamed veggies, a jacket potato or some butternut squash chips. 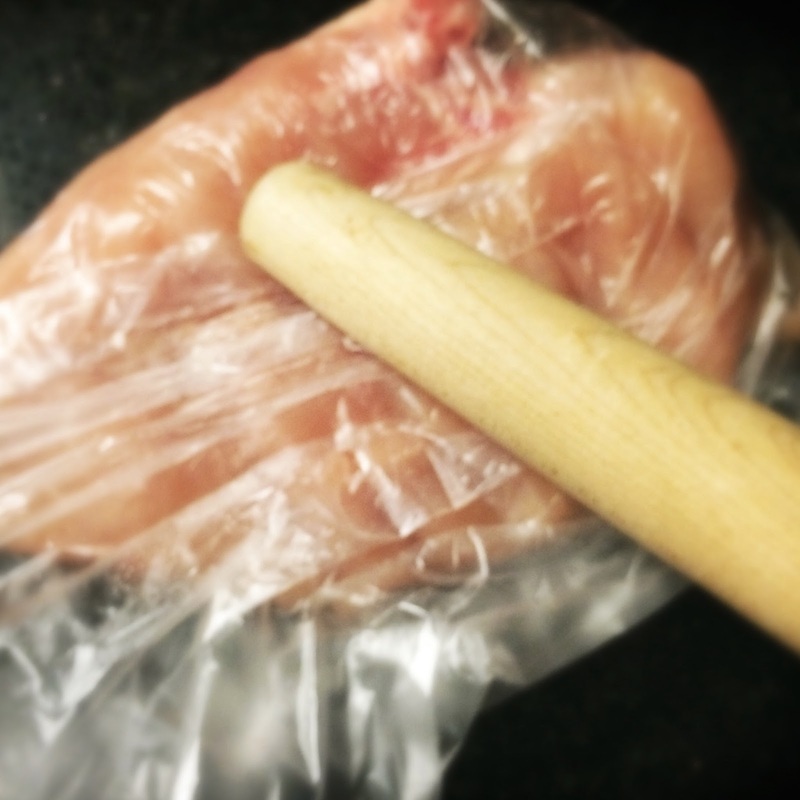 Pop the chicken breasts into individual plastic sandwich bags. Hit gently but firmly with a rolling pin to flatten out each breast into an escalope about 1 cm thick. This tenderises the meat but also makes it one thickness so that it will cook evenly. It should be about half as large again as its original size. 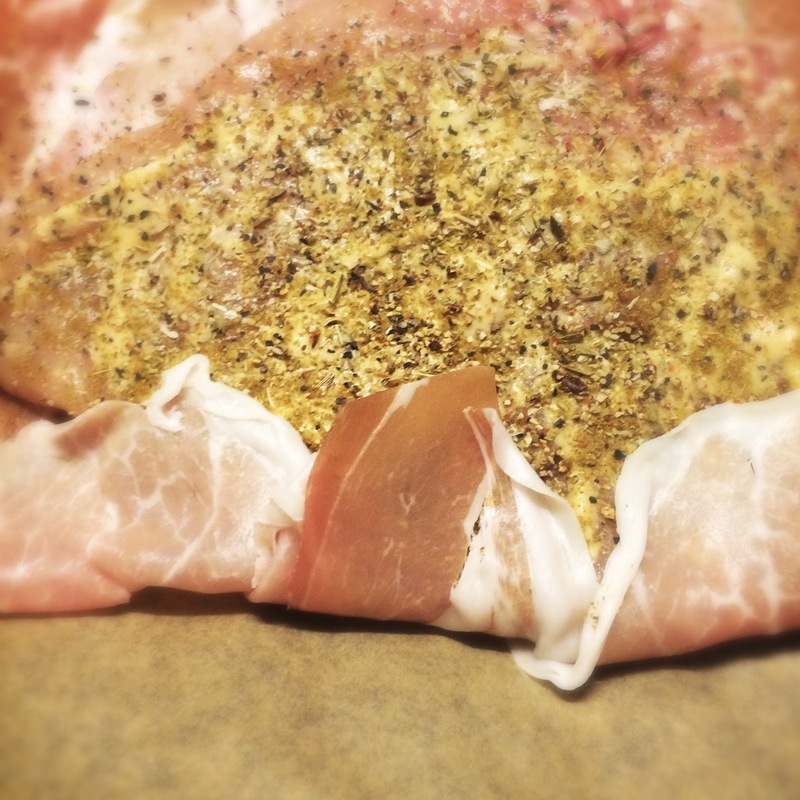 For each portion lay 3 slices of prosciutto slightly overlapping on some baking parchment or cling film. Trim excess fat but a small amount is fine and accounted for in my sp/kcal calculations. 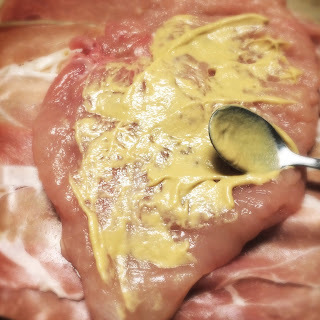 Lay the flattened chicken on top of the prosciutto and spread with one teaspoon of Dijon mustard per portion. 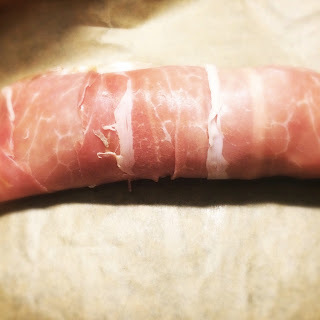 Season generously with black pepper or a garlic pepper mix, then tuck any excess prosciutto over the chicken before rolling up tightly into a 'sausage' shape. 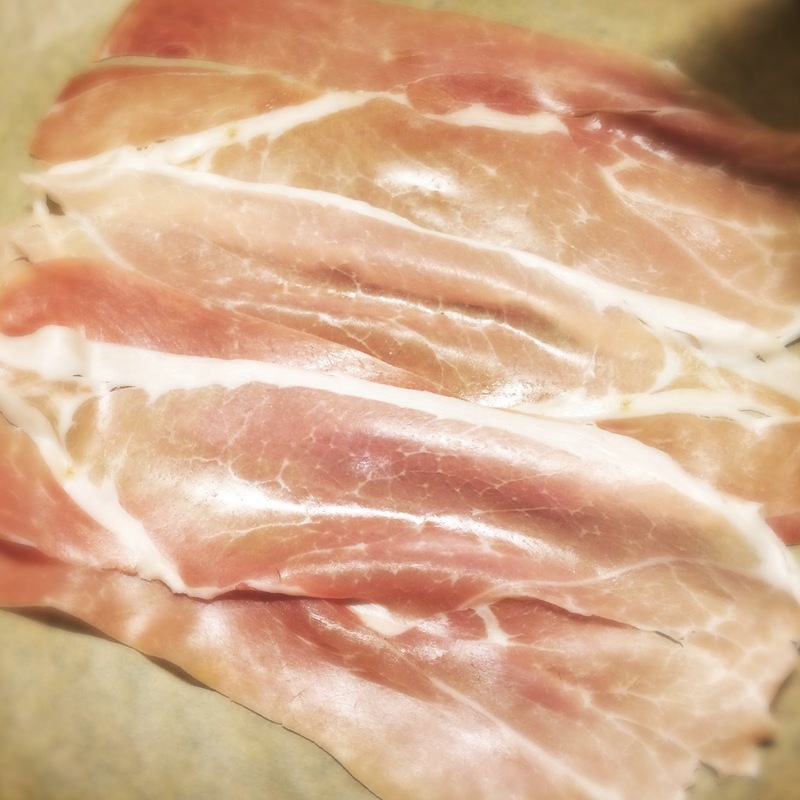 You don't need to add any salt as the ham is salty enough. If you have overlapped the prosciutto, there should be no chicken showing. Fry the 'sausages' in the avocado oil for 20 minutes (5 minutes on each side), turning 4 times so that the outside is evenly golden and crisp. Rest the 'sausages' on a chopping board for a couple of minutes, then cut into even, chunky slices approximately 1-2 cms thick. You'll see that the chicken is not quite cooked through to the inside so this stage is very important. Pop the slices back into a medium hot pan with a few sprigs of fresh rosemary and cook for a couple of minutes on each side so that the chicken is thoroughly cooked through. Turn off the heat and let the chicken rest for a few minutes. While the meat is resting, make a fresh salad using your favourite ingredients. 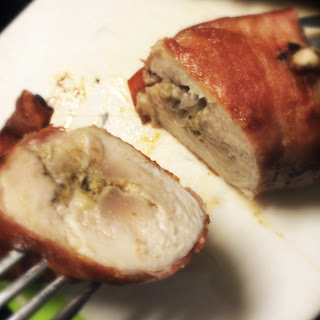 Share the crispy prosciutto wrapped chicken equally between the servings. This is delicious cold, sliced finely in sandwiches or wraps or with salad. It's easy to take for a packed lunch or picnic. 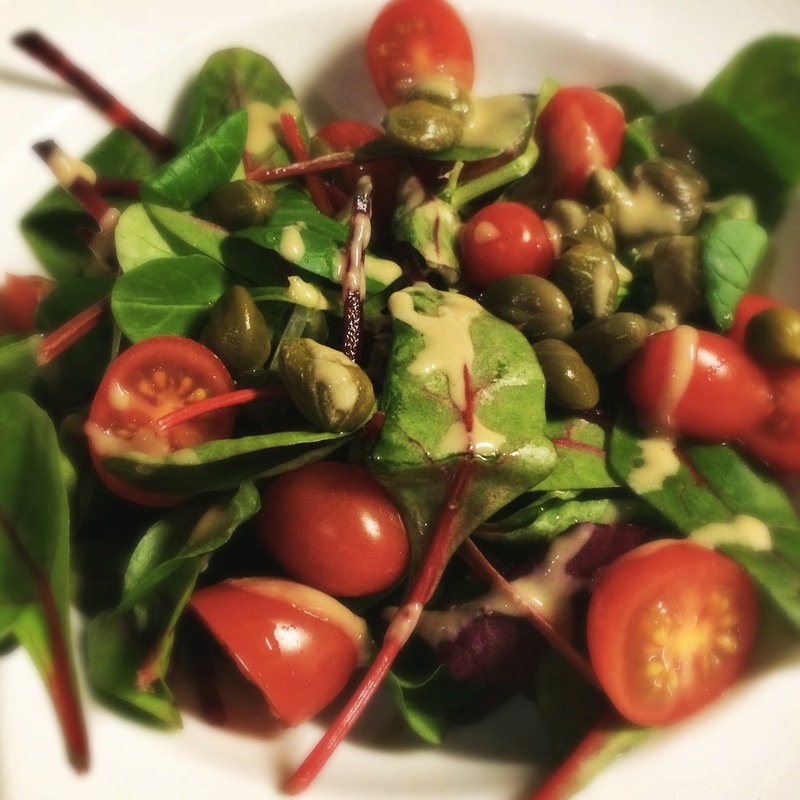 Ring the changes with different fillings-perhaps some wholegrain mustard or pesto, chilli marinade...use your imagination! 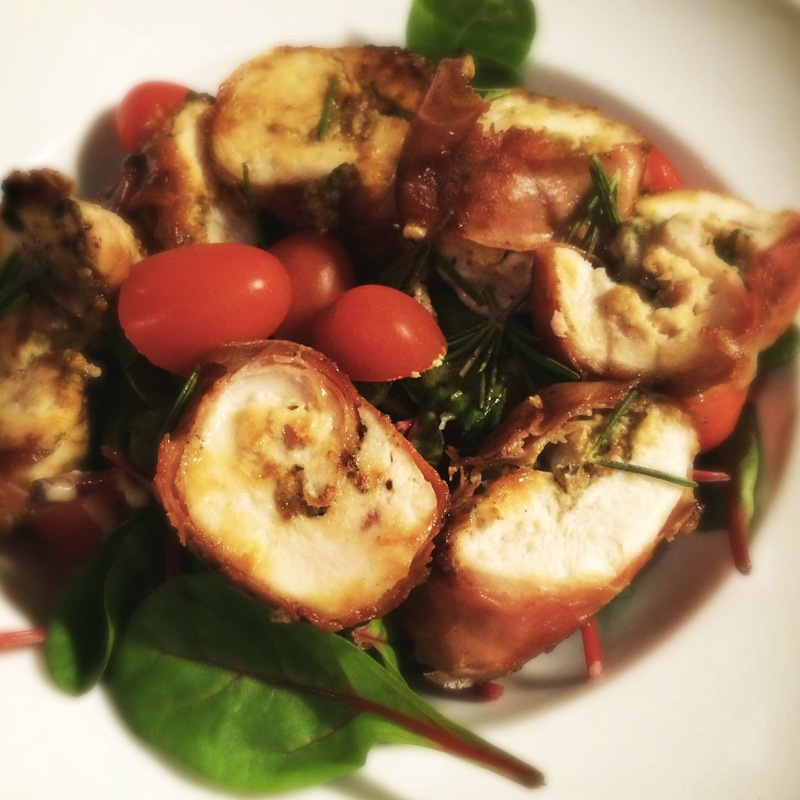 Tried this recipe last night, brilliant! My partner remarked "I can't believe this is a diet meal!". Thanks for creating!